Despite the gloom of yesterday, this weekend is now looking like it will be up slightly versus 2010. Saturday business was higher than expected for films across the board, with the exception of Scre4m. Based on Saturday’s performance, Rio is now headed for about $40.0 million this weekend. The Saturday “bump” for Rio was even bigger than expected (from a just-okay $10 million Friday to a solid $17 million Saturday). As we said yesterday: There is a slight chance heavy tornadic activity in the South might have dampened movie attendance last night — we could see a higher than normal uptick Saturday and Sunday, but the effect should not be major. 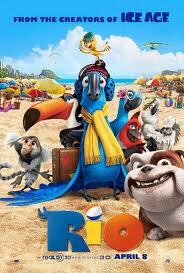 Rio will now premiere somewhat higher than both Rango and Hop in North America (by a few million dollars). Playing at 3,826 theaters, Rio should average about $10,500 per theater. Although it still will not hit a very bullish ShowbuzzDaily Forecast, Rio is now looking more solid if it crosses the $40 million line. Scre4m looks to be on the same track it was yesterday, headed for a shade above $19 million this weekend (an average $5,800 at 3,305 theaters). The fourth in a franchise that started way back in 1996 (a month after Bill Clinton defeated Bob Dole for his second term) had a $34 million ShowbuzzDaily forecast. That larger number was not unthinkable given that Scream 3 opened to $35 million in 2000. Scream 3 went on to gross $89 million, which is equal to about $132 million in today’s dollars. Scre4m in contrast is headed for about $53 million domestically, according to the ShowbuzzDaily Domestic Ultimate Estimate. It looks like Wes Craven can move on to other things (hey, how about The Hills Have Eyes III? ), and Weinstein will have to search for another franchise (a new, fresh one, perhaps?). 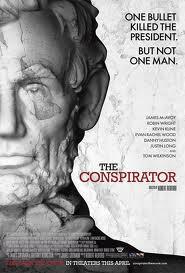 The Conspirator opened at 707 theaters and should average about $5,500 per location, only somewhat above the $4,900 average for all films. Not a great start for the historical drama about the plot to assassinate Abraham Lincoln and destabilize the Union, but the movie is certainly not DOA. A solid opening for a limited release like this would be at least $10,000 per theater. Limited release “hits” can average $25,000 or more per theater. Opening to a similar average ($5,600) at far fewer theaters (299), Atlas Shrugged: Part 1 (from Rocky Mountain) is headed for a $1.7 million opening weekend. These numbers are exactly in between “hit” and “miss”. Its performance in the coming weeks will determine whether we see a Part 2. Note: The table above summarizes the weekend as of Sunday. The first column is a reminder of each film’s ShowbuzzDaily Forecast (in brackets). The second column, on which the films are sorted, displays the “studio projection” for each film, based on the Friday and Saturday actual numbers (and a studio-supplied estimate of Sunday). The third column is the percent decline from the prior weekend. The final column is a preliminary estimate of the ShowbuzzDaily Domestic Ultimate number for the film’s total run in North America. A “++” indicates the Domestic number has been upgraded; a “–” indicates a downgrade. The returning films, like Rio, had better than expected Saturdays (or worse than expected Fridays, depending on your point of view). Either way, the weekend numbers for the returning films are enough to lift the top 12 into positive territory versus last year. What looked like another down weekend yesterday, now looks ever so slightly positive. The Top 12 Films this weekend are looking like $118 million total. Much better than “an average” comparable weekend the last four years and a bit higher than last year’s comparable number. Although if there is a considerable amount of studio rounding in these estimates, the 5% gain versus last year could turn to a flat year when we see the actual weekend numbers tomorrow. It’s not yet time to celebrate the beginning of the end of the 2011 box office slump. Looking ahead to next weekend, the comparisons could be very positive next week. 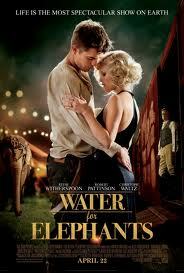 Tyler Perry’s Medea’s Family Reunion (LG) should open in the $30 million range, and Water for Elephants (Fox) should open around $25 million. Last year, the best opening between April 23-25 was The Back-Up Plan (CBS Films) with only $12.2 million. The Losers (WB) opened with $9.4 million, and Oceans (Dis) bowed with only $6.1 million. On Monday we will have the final, official numbers for the weekend (actual numbers, no estimated Saturday or Sunday numbers), and on Tuesday look for the updated international numbers for films currently in release.